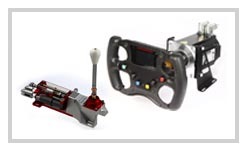 Our range of Evolution simulators can cater for any driver from the professional to the enthusiast. With the same technical highlights as our main flagship model, as well as the standardised simulators we are able to offer a complete bespoke custom service where we can solve any of your simulator based problems with our in house design team. Has a driving position that accurately represents a wide range of single seaters. The Evolution GT has a driving position that accurately represents a wide range of GT cars. 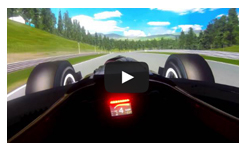 Is the top of the range Evolution simulator where the seating position is adjustable between GT and F1. 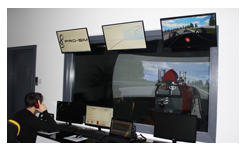 Pro-Sim are at the forefront of motorsport simulation and we regularly work with drivers from club racing through to F1 and also touring cars, GT’s and prototypes. 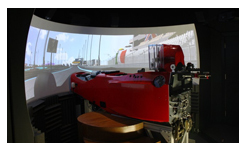 All of this is carried out with our specially developed car and track models all built in house to the maximum accuracy possible to accurately represent your car to ensure you get the maximum value possible from your simulator session. All of this is completed under the guidance of an experienced driver coach so that you can carry the maximum knowledge with you to your next event. As well as simulator hire with coaching we also have our range of Professional Evolution simulators available for purchase that rely on all the technology from our flagship model neatly packaged into an affordable solution. Pro-Sim are also in a unique position where we can design, develop and manufacture parts in house for our customers, this allows us to have the ultimate unrivalled bespoke service available on the market today.